Rogers Pass Cam - Highway 1 Rogers Pass camera at Glacier National Park showing the highway surface conditions and visual weather. 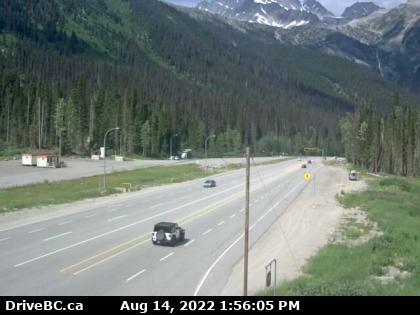 Rogers Pass Cam - Trans Canada Highway 1 at Park Headquarters Glacier National Park 72 km east of Revelstoke looking to the east. Courtesy of BC Ministry of Transportation and Infrastructure. Note: This 'travel news' services website is privately owned. It is not affiliated or sanctioned by the Government of BC, nor is it part of the provincial governments - DriveBC program or websites, operated by the BC Ministry of Transportation and Infrastructure. © 1996-2018 bchighway.com - All Rights Reserved.